Go to the JennspirationTs Etsy Store! Go to the JennspirationTs Ebay Store! It all started with a trip to Walt Disney World (most good things do, you know). I'd seen a picture of some cool Mickey Mouse bleach shirts and my daughter agreed we could wear those one day. You see, she didn't want me dressing all of us in matching t-shirts each day as I did when the kids were much younger. 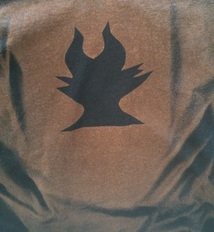 The bleach shirts, however, passed the test - especially since all 4 of us could pick out our own color to wear. 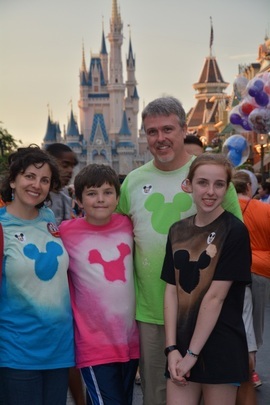 One evening we all sprayed our own shirts and as a result, all of our Mickeys were just a little bit different. My husband's was PERFECT, while the rest of our Mickeys had their own foibles and fuzziness. We really liked these shirts and once I posted my trip report on a few Disney forums, I found out that quite a few other people liked them as well. Whenever someone asked for directions, I was happy to share what I'd learned. This inspired me to keep creating shirts. I'd just seen the amazing Angelina Jolie in Maleficent so I went upstairs to my room, pulled out an old black t-shirt and created this shirt. The rest is history, my friends. I kept experimenting, creating, and learning how to make the process work. (Most of the time, anyway!) I've posted pictures of my creations on this website and I hope you will visit my Etsy store if you'd like to purchase any of my creations. I will also include directions about how to create your own shirts very soon. I've moved beyond Disney designs. You can now find Harry Potter - inspired, Dr. Who-inspired, Star Wars-inspired and Star Trek-inspired shirts along with a number of mascots and nature-inspired designs.